Raise food allergy awareness and educate others, all while helping families in your community! Host an Allergy-Friendly Food Drive™! 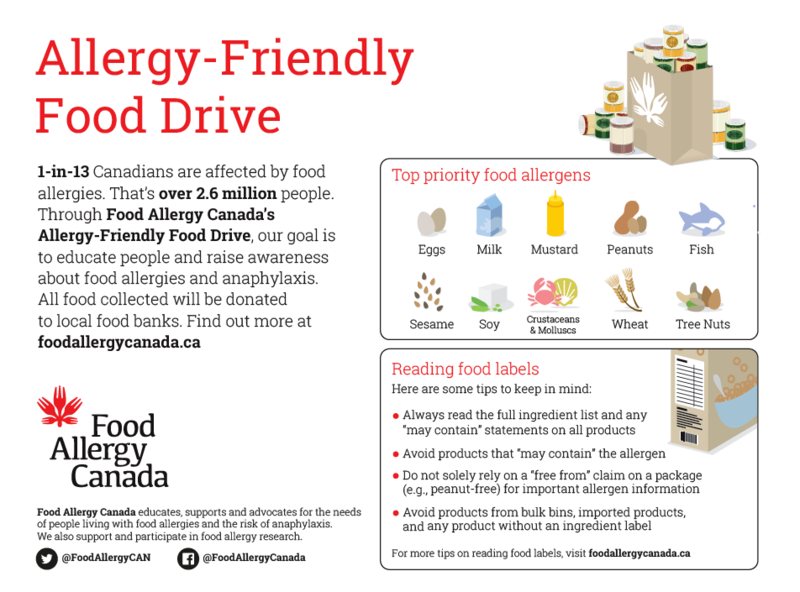 With this food drive, schools, organizations, and individuals across Canada are collecting allergy-friendly food in an effort to educate and raise awareness about food allergies and anaphylaxis. All food collected can be donated to local food banks, seniors centres, community centres, and other charitable organizations accepting food donations. Anaphylaxis (pronounced anna-fil-axis) is the most serious type of allergic reaction and can be life-threatening. It occurs in some people when they are exposed to a usually harmless substance, called an allergy trigger (or allergen). Knowing how to read a food label and understanding how to identify allergens in an ingredient label is key to making informed choices and preventing allergic reactions. The Allergy-Friendly Food Drive allows others to get a glimpse into understanding the challenges faced by those at risk, especially when it comes to selecting safe options. It’s also a great way to learn more about what’s in your food, and how to read a food label. 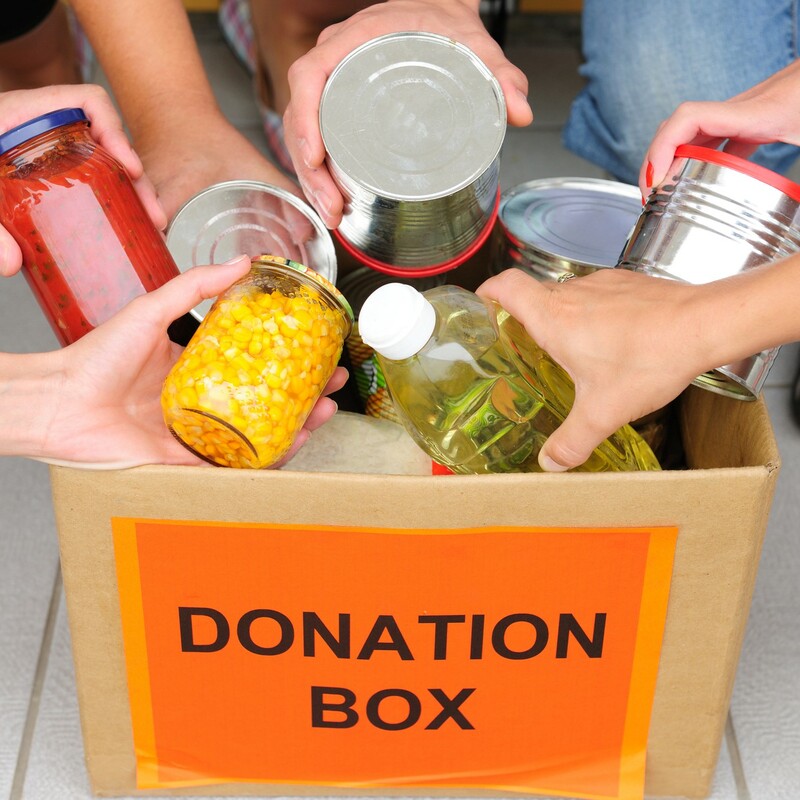 Donate all collections to your local food bank, seniors centres, community centres, etc. Here’s an idea and an example schedule to follow for your food drive. Over the course of 10 days, designate each day of the challenge to one of the top priority food allergens. Ask participants to bring in a product that does NOT contain that allergen. Start a competition between different groups for who can collect the most allergy-friendly food items! Each group can collect foods that do NOT include one of the top priority food allergens. Always read the full ingredient list and any “may contain” statements on all products. Avoid any product that contains or ‘may contain’ the allergen. Avoid products from bulk bins, imported products and products without ingredient labels. Be careful not to rely solely on a “free-from” claim on the front of a package (e.g. peanut free) for important allergen information. Always read the full ingredient list and label on the package. Visit our section on food labelling for more tips on reading food labels. Have fun and thank you for supporting food allergy awareness! 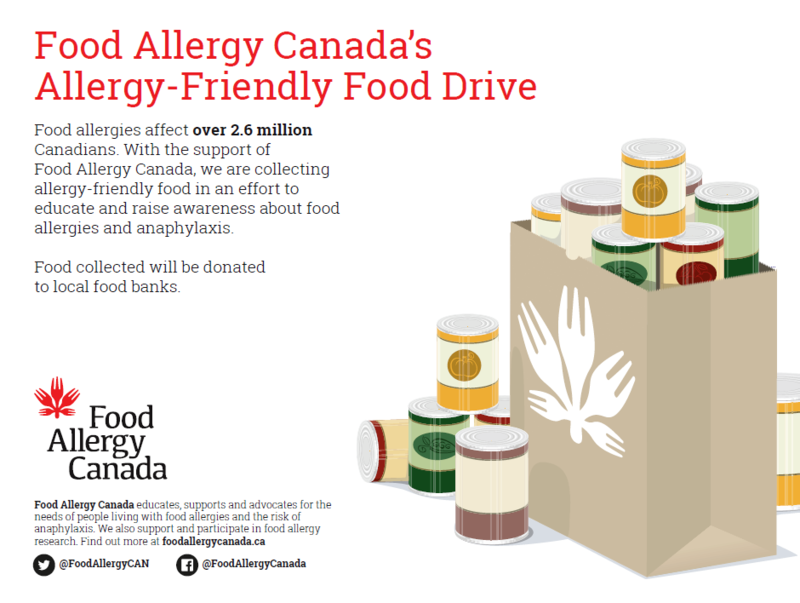 Remember to post the photos of your Allergy-Friendly Food Drive on your social media and tag Food Allergy Canada.